I am participating in the Soap Challenge on Great Cakes Soapworks blog (see previous post). This is the final challenge on Amy’s soap blog. We were to make all natural soap, which I do all the time, so we were supposed to try something new. I decided that instead of micas or clays for colorants, I would make my Rosemary Lemongrass soap with an infusion of herbs and botanicals. Well, it didn’t exactly work out. I wanted a blue color. Although my research suggested that cornflowers could be used as a dye (and I already know they are safe for the skin), I was unable to get a single drop of color out of them. I used several cups of organic cornflowers in some sweet almond oil and cooked it at a low heat forever, and the oil never changed color. Then I tried poppy seeds. That also gave no color. Since I was running out of time, I gave up and used a blue ultramarine, but I did use bladderwrack (a type of seaweed) for the green color. 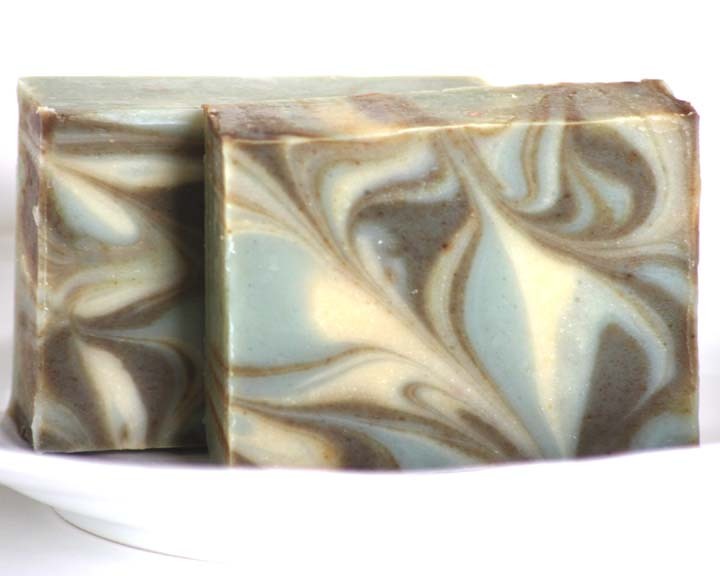 Made with goat’s milk and shea butter plus essential oils…it smells awesome…kind of like the grasses by the seashore. You can see the other challenge participants’ Natural Soaps by clicking here. More peeks coming soon! The Bonnie Bath Co. offers handmade soaps, bath and body treats, and scents for the home. Many products are 100% natural or almost all natural, created in small batches using the finest quality ingredients, many of which are organic, fairly traded, wild-crafted and/or sustainable. Our products can be purchased online at www.BonnieBath.com or in upscale boutiques and spas who share our vision to promote handmade products by artisans here in the USA. 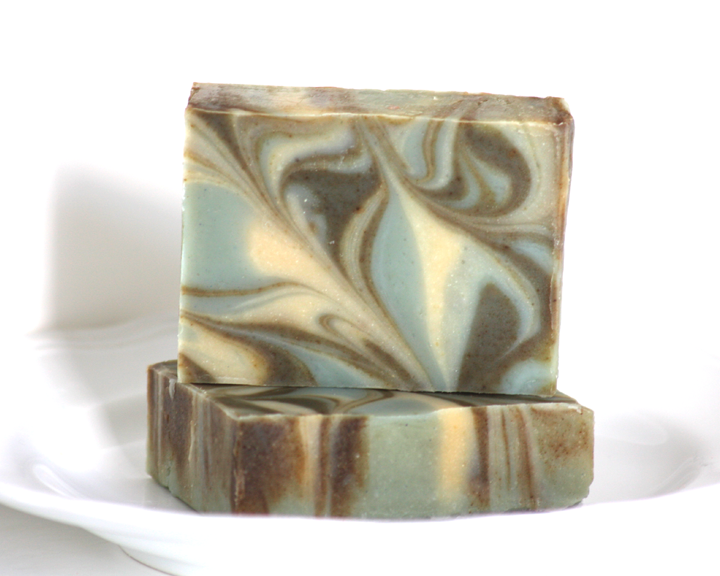 Handmade Artisan Soaps More than just a bar of soap…each is a work of art. Handmade in small batches, our soaps contain high quality ingredients, paired with advanced techniques including swirls, layers, embeds, and toppings, designed and made by a Certified Advanced Soapmaker (HSMG). Choose from 100% natural made with essential oils or almost all natural made with fragrance oils in an endless array of scents.